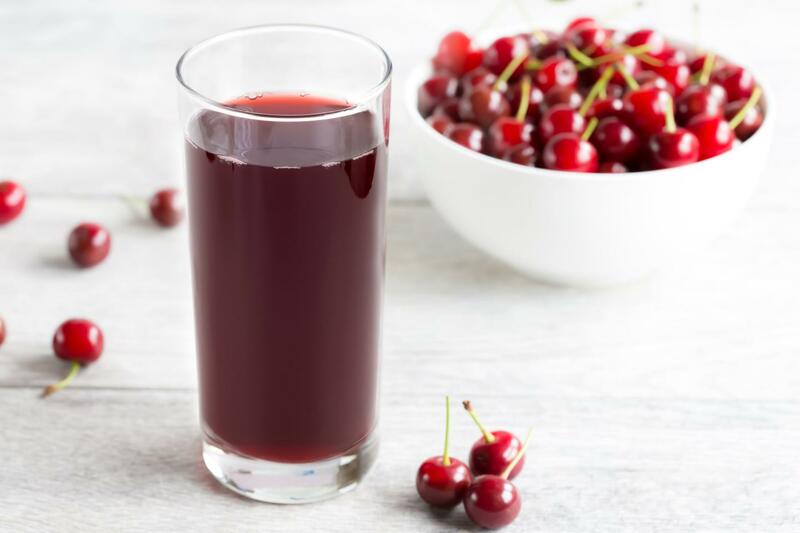 LANSING, Mich. June 5, 2018 – Montmorency tart cherry juice may play a role in maintaining heart health, suggests a new study published in Food & Function. Researchers at the University of Delaware found that older adults who drank tart cherry juice made from U.S. grown Montmorency tart cherries experienced a reduction in systolic blood pressure and low-density lipoprotein (LDL) or "bad" cholesterol. Cardiovascular disease remains the leading cause of death in the United States. High systolic blood pressure (the top number in a blood pressure reading that measures the force of blood flow when the heart beats) and elevated LDL cholesterol are both risk factors for cardiovascular disease. For the study, 34 men and women (ages 65-80) were randomly assigned to one of two groups for the 12-week randomized controlled trial. One group drank 480ml (or about 2 cups) of Montmorency tart cherry juice from concentrate each day, half in the morning and half in the evening. The control group drank the same amount of a placebo drink – a cherry flavored beverage that had a similar color and the same amount of calories, but was devoid of tart cherries and specifically excluded polyphenols. The participants, who were unaware of their group assignment, were asked to maintain their regular diet and physical activity habits throughout the study. Researchers measured their blood pressure, weight, blood sugar, insulin, cholesterol and triglyceride levels at the beginning of the study and again at the end of the 12-week trial. Taken together, the improvements seen in LDL cholesterol and systolic blood pressure may help maintain heart health, the authors conclude. Montmorency tart cherry juice reduced systolic blood pressure by 4.1 mmHg, from 141.4 mmHg to 137.3 mmHg – which is no longer considered "high." Previous research has also shown a reduction of just 2 mmHg can reduce stroke-related deaths by 6% and deaths related to heart disease by 4%. LDL cholesterol also dropped in participants drinking Montmorency tart cherry juice. The strengths of the study included the randomized controlled trial study design, along with the blinded groups. Additionally, the analysis of possible confounding variables including dietary intake and physical activity were assessed. However, the authors say study results could be influenced by various factors, such as sample size, the duration of the study and the self-reporting of diet and physical activity. More research is needed to determine the impact of Montmorency tart cherry as plausible intervention for improved cardiovascular health for older adults. The Cherry Marketing Institute, a not-for-profit organization funded by U.S. tart cherry growers and processors, provided financial support for the study. The funders had no role in the study design, data collection and analysis, decision to publish or preparation of the manuscript. CMI's mission is to increase the demand for Montmorency tart cherries through promotion, market expansion, product development and research. Source: Chai SC, Davis K, Wright R, Kuczmarski M, Zhang Z. Impact of tart cherry juice on systolic blood pressure and low-density lipoprotein cholesterol in older adults: a randomized controlled trial. Food & Function.2018; June 4.